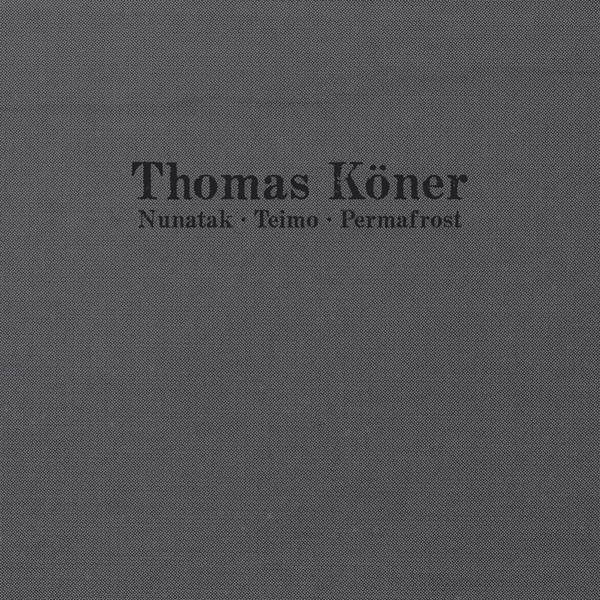 Thomas Köner's seminal first three albums newly mastered by the artist himself. The three albums were originally released between 1992 and 1993 and are considered classics of the Dark Ambient/Drone genre, making for over two hours of deeply immersive, arctic music. Since the release of these three albums in the early 90's Köner has gone on to enjoy something akin to a cult status among musicians of all dispositions. His CV boasts not only a series of seminal albums under his own name but also membership of acclaimed Chain Reaction duo Porter Ricks and, more recently, a number of works that have seen him occupy a respected position in the installation and sound art worlds. Through the careful and measured use of gongs (recorded in different rooms and underwater) as well as homemade wind instruments, Köner's early work has become a cornerstone of the genre and part of a tryptich of records which have never been bettered. After far too many years in the out-of-print wilderness, it's a source of immense satisfaction to finally be able to share this incredibly dark, immersive music with the world once again.